The Met have recently announced that they will be adopting a cloud first strategy. Cloud technology is gaining traction in law enforcement. Driven by the promise of force-wide and cross agency access to tools and applications, an off-premise solution offers forces the ability to tighten budgets by only using software solutions and tools when needed, as well as the promise of a potential solution to the complex issue of sharing data between jurisdictions when crimes are committed across several counties. Last year the Met Police published its One Met Digital Policing Strategy which laid out its digital strategy up until 2020. One of the core principles of the strategy is to; “adopt a ‘Cloud First’ principle and use public cloud offerings whenever possible” claiming that it will allow the force to rapidly move solutions, and only pay for the capacity and facilities it uses. The first wave of applications are due to go live on Azure this year. And they are not the only force turning away from the data centre to the alternative technology method. Lincolnshire Police also recently announced it’s planning the first cloud hosted control room, which will replace its existing contact management, computer-aided dispatch, mapping and call logging setup. The move is set to increase staff productivity while lowering operational costs. Policing is clearly heading into the beginning of cloud transformation, but could it really, as things stand, achieve a completely ‘Cloud First’ model if it decides to ditch the datacentre and embrace off-premise policing? What’s the current state of cloud adoption in policing? So far, a number of policing tools and services are accessible for forces via the cloud and if they aren’t available already, they could in theory be migrated very easily. These include tools such as records management systems, online training, predictive policing and analytics tools, even systems for the public to use, such as incident reporting. The benefit of this is that police forces have quick access to software, while only paying for that they need, at the time that they need it. When you consider the nature of investigations that has to be a very good thing for the police. So what we need to see is more technology providers stepping up to the plate to ensure the most productive software tools can be accessed via the cloud. However, it will be important for those selling into the public sector to ensure that all cloud products adhere to the protocols in place around procurement. For this, the adoption of best-of-breed platforms by police forces and technology providers will be imperative. Some processes however, are a little way off from becoming completely cloud based. Data storage for example is often viewed as ‘safer’ on-premise. The cloud provider is integral to the journey. A trusted supplier with a proven track record of success is vital, especially when considering security and the often sensitive nature of data held by the police. Both the Met Police and Lincolnshire have used Microsoft Azure as a launching platform for their cloud products driven by its proven success in policing; and its compliance with the strict standards of the UK’s National Police Information Risk Management Team on the storing of police information and access. Why is there a need for cloud adoption? There has been a recent sea change in the attitude towards cloud within policing. A recent Freedom of Information (FOI) request found that 88 per cent of UK polices forces are considering investing in the cloud. This could partly be down to the Government’s own Cloud First policy, which in 2013 urged the public sector that, “When procuring new or existing services, public sector organisations should consider and fully evaluate potential cloud solutions first before considering any other option.” Other solutions are still allowed to be procured by police forces, but they have to actively demonstrate that these are better value for money. It will also mean forces will be able to access applications over the internet, offering the ability to work remotely or use whilst out on operations. Most importantly, a cloud approach addresses a greater need within the police – the pressing need for forces to be more agile with sharing data across borders. The digital age has seen a growth in online criminal activity, which is unique in the fact that its connectivity means that a crime or case can take place across multiple regions at once, with perpetrators across many boundaries. Alongside this, some criminals are exploiting advances in technology, more quickly than law enforcement is able to bring in new techniques to deal with it. If police forces were more readily able to instantaneously share data across borders, there’s a greater chance of recognising the patterns in order to build a case quickly. It’s clear that having a more joined up approach across borders would help with this, and a cloud-based approach means that if data was stored in the cloud, and not in on-premise data siloes, it is in theory, much easier to share with another force. Promoting a new culture of intelligence-led policing. Despite this change in attitude, out of the 24 police forces across the UK who responded to the same FOI, a notable 71 per cent of responding forces currently store less than a quarter of their data and applications in a cloud environment – 13 per cent don’t use the cloud at all. However, it’s worth noting that only a handful of forces responded to the FOI, nevertheless, why is there such variance in cloud adoption? Budgeting is usually a concern. It’s almost impossible to read the news without coming across a story lamenting the shrinking budgets within law enforcement and the pressure this is putting on the police. 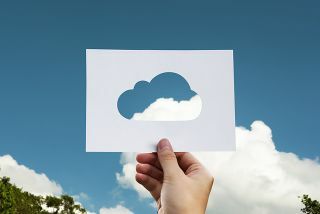 In most cases, digital transformation is harder to justify in the current climate, but when looked at against the potential efficiencies enabled by cloud services and the improvement in positive outcomes for the public, it becomes a lot more palatable. Some cloud pricing models also present an extra challenge as a shift towards Opex ‘pay as you go’ budgeting is required. The uncertainty of not knowing exactly what your spend will be over the financial year can slow down the pace of cloud acceptance. But this model offers the flexibility and scalability that provides the speed to service that modern policing requires in order to counter today’s threats, plus an increase in forecast accuracy should be seen only after a few months of adoption. There can also be a culture of reluctance to change within some IT departments, with some having minimal turnaround in staff, which can lead to a less forward-thinking approach to technology and more staff being attached to the current tools and processes already used. Unfortunately, a lack of firm Government leadership on cloud adoption in the police has not made this any easier. That being said, the purpose of technology should always be to drive productivity and efficiency, by automating processes and in turn freeing up time for the delivery of the service you exist for. And, clearly when we are talking about the police that is solving more crime, faster. Without strong leadership from the centre, it’s the responsibility of technology suppliers to continue to communicate the benefits of cloud and make this transition easier, by walking forces through the implementation process, being on hand for any questions and providing any trials or demonstrations where possible. Whilst it would appear that cloud-first policing is some way off, it’s encouraging to see a number of the biggest and busiest forces are leading the way with cloud and hybrid strategies, and really seeing the benefits it can provide. Now it’s time to get better at communicating how this is impacting policing for the better, so that adoption grows and the potential of national cloud sharing between forces and agencies can be realised.